Highly innovative and motivated, Michelle Joy Andruss brings with her over ten years of experience in the entertainment, sports and event industries. Her high energy, infectious enthusiasm and expertise in her field help her bring creative and exciting solutions to each and every client. As a Corporate and Luxury Sales Executive for AEG, Michelle created multi-year sales partnerships, developed new revenue sources and assisted in million-dollar sponsorship packages. Michelle has developed, executed and managed comprehensive sales plans designed to grow new markets and leverage a wide array of venues and corporate assets. While identifying distinct audiences, prospecting high-level business executives and engaging existing clients, Michelle is dynamic and influential in representing her partners. Committed to continually developing herself as a leader in business and at home, Michelle has participated in several programs designed to improve her both professionally and personally. She completed The Landmark Forum, specifically designed to bring about positive and permanent shifts in the quality of personal and professional life. Michelle recently completed the Empower U Leadership training course designed to improve her effectiveness through assertive and positive focus. “Working with the Mjoy Group has proven to be a key part of our events strategy and execution. The Mjoy group handles all the details – from event inception to execution…. to closure….which helps us focus on our work; building relationships with our prospects and clients,” applauds Gregory Johnson, Vice-President of Company Card Sales for American Express. 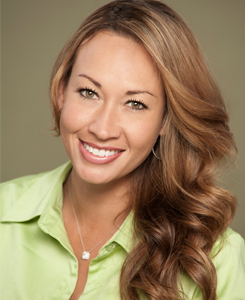 Along with American Express, other current clients include Keller Williams Realty, PMC Bancorp and MillerCoors Corp.
A California native, Michelle is an avid golfer, traveler and beach enthusiast.